Our mission statement provides the framework for all aspects of our school. We strive to ensure that we provide the best environment for your child. 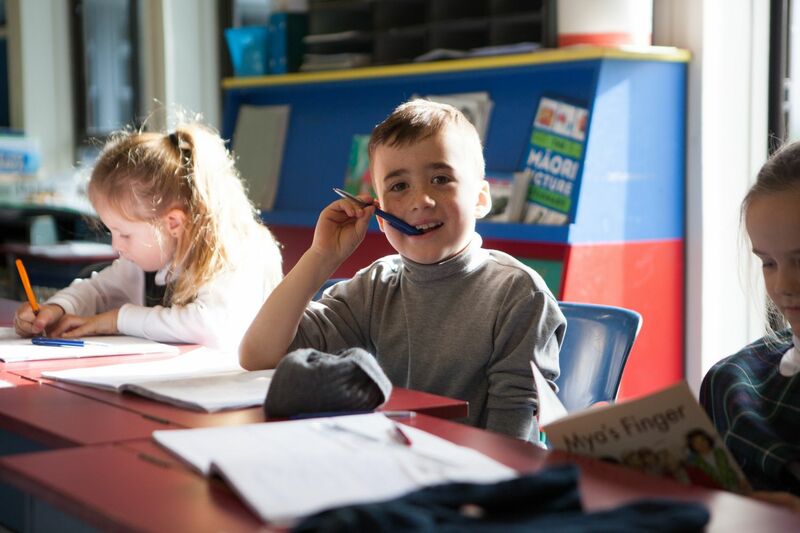 St Anne’s has a strong emphasis in not only creating excellence in the learning programmes but also in the positive relationships and classroom environments we have. Our priority is towards creating very sound reading, writing and mathematics programmes that are focused on ensuring high expectations are encouraged and modelled. We work as a team, moderating and enhancing good practice, and professionally evaluating our practice to ensure we deliver programmes that can assist teachers to assess against the National Standards with confidence and accuracy. Our programme priorities are enhanced by a range of other critical learning opportunities to develop life-long learners. A comprehensive targeted achievement programme (TAP) for children in need of support. A research based gifted and talented identification process to support children that need further extension. Information technology in the form of Apple based computers that support high-end creativity and opportunities to engage in learning for the 21st century. A comprehensive EOTC (education outside the classroom) programme utilising the positive environment within the school. A robust behaviour management system that supports our children in all areas. Leadership opportunities for all children. A strong special education area, with a positive reputation, that supports children who have physical, medical and cognitive difficulties. Physical activity opportunities that promote the development of physical skills and also fitness. We provide a number of team sport opportunities. An Intermediate dimension that has a strong reputation, engaging children in learning and provides extra leadership and curriculum based opportunities appropriate to their level of learning. Cultural opportunities through enrichment programmes that utilise skills within our school. A well resourced and accessible library that provides opportunities for our children for learning and recreation. Our role is to work with you to assist your child’s learning. We offer an open door policy that encourages and creates opportunities for conversation that support student’s learning and wellbeing. Initiatives we have already developed include termly parent forums and also three-way goal setting conferences. Our special Catholic character is an integral part of our school life. All children participate in the religious eduction programme and attend masses and other liturgical celebrations that mark important occasions in the church year. Daily prayer is a feature of each classroom programme. Understanding and participating in regular masses throughout the term including our full school mass. Regular Mission House group activities that allow family groupings and interaction between all year groups. Retreats and activities, including Young Vinnies, that promote special character and social justice. Supporting parish based sacramental programmes such as First Reconciliation and Eucharist.